In celebration of Black History Month, the Center for Student Diversity, the Black Student Organization, E.S.S.E.N.C.E. and the Sherman and Gloria H. Cohen Career Center teamed up to host “Stepping Into Excellence Black Expo.” The event, held in Trinkle Hall Saturday, Feb. 2, featured 20 different black-owned Virginia businesses, entrepreneurs and students from the College of William and Mary who have started businesses of their own. President of the BSO and operative for the Center for Student Diversity Niya Gray ’19 helped Assistant Director of the Center for Student Diversity Shené Owens with the preparations for the event. “I wanted to provide a space for cultural diversity, something we don’t always have here on campus. I wanted to give students something different, something that they feel represents them,” Gray said. Member of the Alpha Kappa Alpha Sorority, Inc. Jessica Ellison ’20 attended the expo and found the experience to be a unique event for the College. “It’s very rare, especially on the campus of William and Mary, that we celebrate black women and support black businesses,” Ellison said. Ellison enjoyed meeting author, entrepreneur, consultant and member of the Crystal Morrison-Joseph ’09. Morrison-Joseph published her first book, “PoundCake & Private Practice: 5 Things I Learned During My First Year” last spring. In addition to her book, Morrison-Joseph is a licensed professional counselor and clinical professional counselor who has her own practice in Newport News, Virginia. Her practice serves the public and also offers a learning center for those looking to open private practices of their own. Angela Wilkins also attended the exposition. Wilkins runs a website that educates over 85,000 people about the foreign exchange market through an online academy. “Representing a consulting group, my husband and I are educating people in the foreign exchange market, which generates $5.3 trillion a day,” Wilkins said. Wilkins’ goal is to get everyday people involved in the market through her online academy and compete against bigger banks like Wells Fargo and Bank of America. Wilkins believes that the foreign exchange market has potential to become a sound business investment in the upcoming years. Gray was happy with the turnout for the event and felt that the expo was an overall success. She hopes that the event left an impact on attendees and gave them a different perspective of the business world. 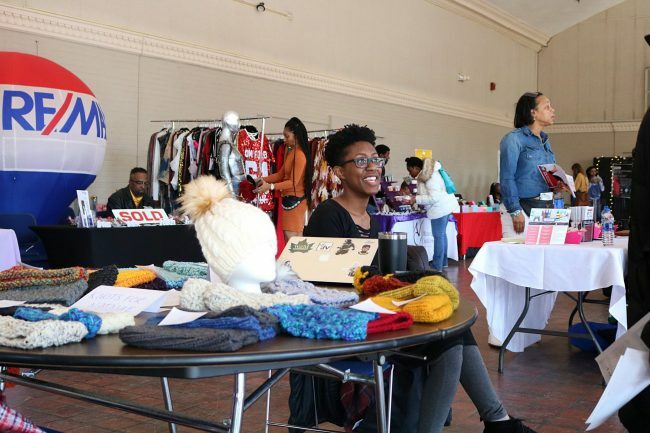 “I would like for the attendees to have a takeaway of cultural diversity, and cultural appreciation, as well as furthered support of black-owned businesses,” Gray said.